A Bhubaneswar-bound Air India flight carrying 155 passengers onboard was forced to return to the Mumbai airport here after its pilot detected smoke in the cockpit. Mumbai: A Bhubaneswar-bound Air India flight carrying 155 passengers onboard was forced to return to the airport here after its pilot detected smoke in the cockpit. The aircraft made a safe landing. All the passengers are also safe, an Air India spokesperson in New Delhi said. According to Air India, its flight AI 669 took off from the Chhatrapati Shivaji International Airport here at 2.15 pm but soon its pilot sought an emergency landing as he detected smoke in the cockpit. The flight returned to Mumbai safely at 2.50 pm with full emergency procedure in place. The aircraft is now grounded. A team from the engineering department is inspecting it, the spokesperson said. 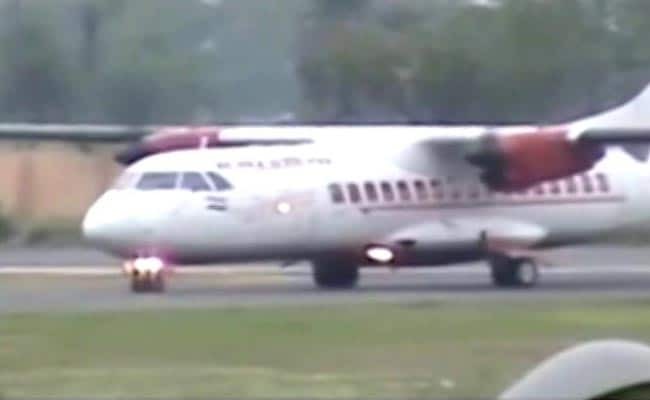 Air India has made available an alternative aircraft to take the stranded passengers to their destination, he said, adding that the flight is expected to take off for Bhubaneswar soon.